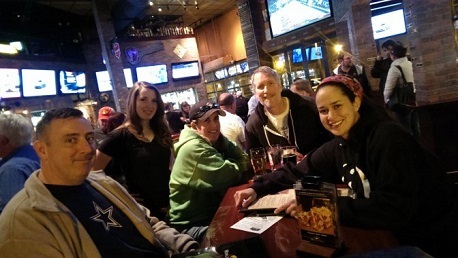 Thanks for coming out on the day before Thanksgiving to play trivia with the Pub Guys! We all needed to fortify ourselves with random knowledge, for those dinner conversation starters Thursday, and fortify ourselves with beer, becuase we have to talk to those relatives. I get you, trivia fam. Thanks for coming out, and thanks for making me welcome as your new host. I'll be off next Wednesday, but starting in December, it's me and all of you from now on. Looking forward to lots of trivia fun to come. Don't forget to follow PubGuys on social media, and get your free questions every week. That could be the difference between 1st and 2nd place!